NIELIT Admit Card 2019: Below are the admit cards published by NIELIT - NIELIT - National Institute of Electronics & Information Technology / student.nielit.gov.in. The recent Admit Card issued for the recruitment drive is CCC February 2019 Admit Card. 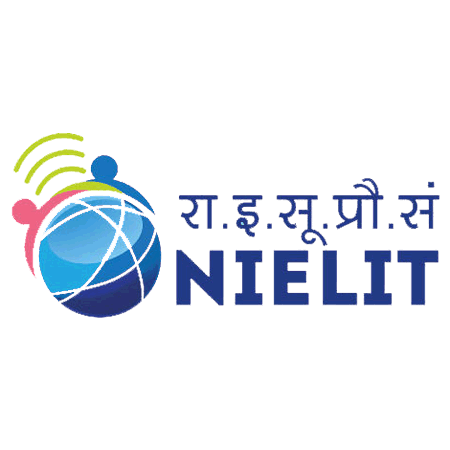 NIELIT CCC February 2019 Admit Card: NIELIT - National Institute of Electronics & Information Technology has issued the Admit Card on 01 Apr 2019 for NIELIT CCC Exam 2019. NIELIT CCC Admit Card March 2019: NIELIT - National Institute of Electronics & Information Technology has issued the Admit Card on 06 Mar 2019 for NIELIT CCC Exam 2019. NIELIT Scientist 'C' & 'D' Admit Card 2019: NIELIT - National Institute of Electronics & Information Technology has issued the Admit Card on 29 Jan 2019 for the exam. NIELIT CCC Admit Card December 2018: NIELIT - National Institute of Electronics & Information Technology has issued the Admit Card on 28 Nov 2018 for NIELIT CCC Exam 2018. NIELIT CCC October Exam Admit Card 2018: NIELIT - National Institute of Electronics & Information Technology has issued the Admit Card on 29 Sep 2018 for the exam. NIELIT DOEACC CCC August 2018 Admit Card: NIELIT - National Institute of Electronics & Information Technology has issued the Admit Card on 28 Jul 2018 for DOEACC CCC Exam 2018 . NIELIT CCC Exam July 2018 Admit Card: NIELIT - National Institute of Electronics & Information Technology has issued the Admit Card on 27 Jun 2018 for the exam. NIELIT CCC Exam Admit Card 2018: NIELIT has issued the Admit Card on 02 Apr 2018 for the exam. NIELIT CCC February 2018 Admit Card: NIELIT has issued the Admit Card on 30 Jan 2018 for the exam. NIELIT EDPA, ESDM & VLC Exam 2018: NIELIT has issued the Admit Card on 01 Jan 2018 for the exam. Scientist –B & Scientific/Technical Assistant-A Written Exam Admit Card 2017: NIELIT has issued the Admit Card on 04 Dec 2017 for Scientist –B & Scientific/Technical Assistant-A in NIC Written Exam 2017 NIC on Direct Recruitment Basis which is scheduled to be held on 17 Dec 2017. CCC December 2017 Exam Admit Card: NIELIT has issued the Admit Card on 29 Nov 2017 for the exam. NIELIT has issued the Admit Card on 28 Aug 2017 for the exam. NIELIT has issued the Admit Card on 28 Jul 2017 for the exam.